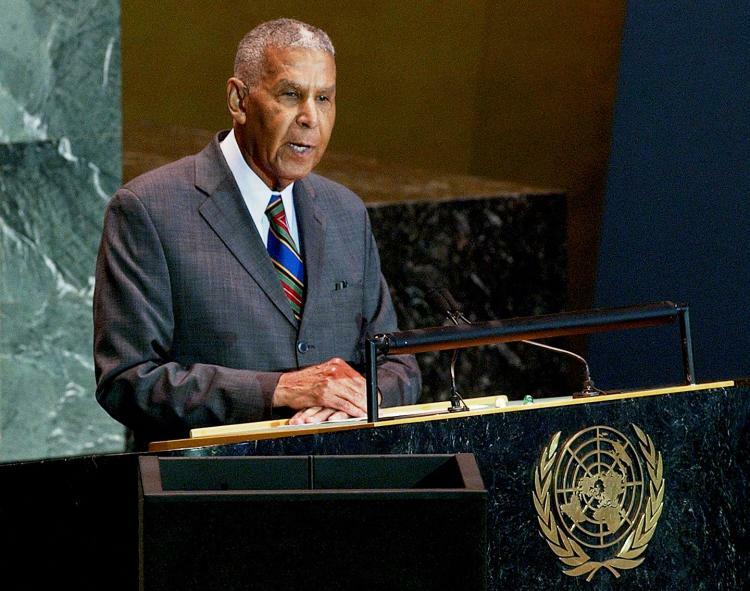 It was with great sadness that the nation learned of the death of Sir Dr Lamuel Stanislaus, Grenada’s former Ambassador and Permanent Representative to the United Nations in New York. He passed away early yesterday in New York City at the age of 95. Sir Stanislaus was Grenada’s longest serving diplomat, before he retired some years ago. Even then, he continued to contribute his time and resources to the development of Grenada and his local New York community. Without a doubt, he served this country with distinction and poise, defying political boundaries, space and time. His outstanding service to Grenada and the global community has solidified his legacy, ensuring that he will go down in the annals of history as a distinguished and acclaimed Grenadian and Caribbean national. Born in Petite Martinique, Lamuel A Stanislaus has been the recipient of numerous professional, civic and political awards, both at home and abroad. Those include the Insignia of Commander of the British Empire from her Majesty the Queen of England (CBE), the Lifetime Achievement Award from the District Attorney of Brooklyn, and in April of this year, the United States Congress commemorated his 95th birthday with a proclamation. In February 2016 at Grenada’s Independence Celebrations, he was deservingly granted the highest honour of Grenada, Knight Commander (KCNG). On a personal level, Stanislaus was a close friend and advisor, a trusted confidante, and a man whom I greatly admired. In his twilight years, as his health deteriorated, he maintained a keen interest, with his usual wit, in national affairs and in my personal well-being. I always ensured that I called on him whenever I was in New York, including during my visit there last week. Grenadians and friends of Grenada, have been fortunate to call this warm and cheerful gentleman a son of the soil and a true servant of the people. He so freely gave of himself in deep and abiding duty and service to God, family and country. On behalf of the people of Grenada, especially the Island of Petite Martinique, and on my own behalf, I extend deep sympathy to the family and friends of the late Sir Dr Lamuel Stanislaus. May God give them the strength to bear the pain of this great loss. As a nation, we mourn with them, understanding how much we have all lost. An outstanding heart has stopped beating in this world. May his soul rest in peace.